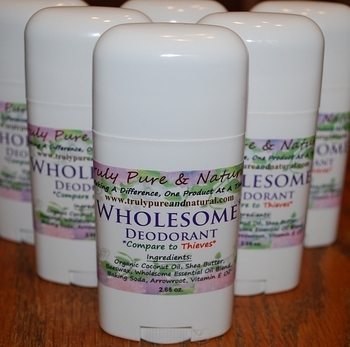 Wholesome Deodorant - 2.65 oz. Safe for kids of all ages! Finally, a natural deodorant that really works! 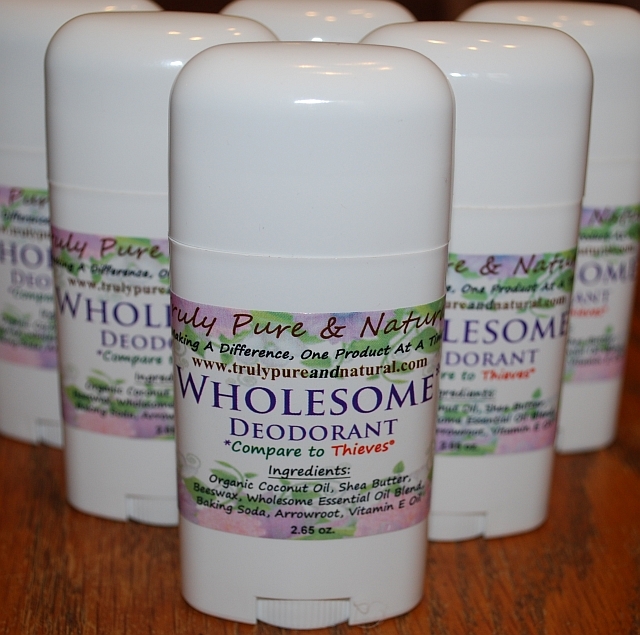 We created this great deodorant using proven ingredients, then added our Wholesome Essential oils which fight the bacteria that cause body odors. So toss the salt rocks and put away the messy paste; you're going to love our Wholesome Deodorant. Wholesome Deodorant performs as well for him, as it does for her!